Below you will find some help on searching for products and making and order. 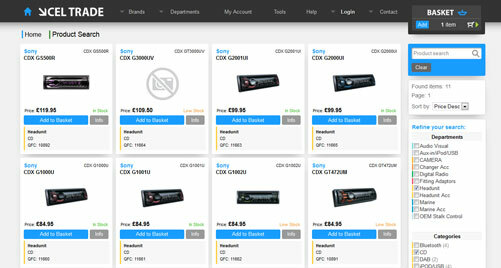 Items can be searched by Quick Find code, item name, barcode or model, simply type your request into the search box and press enter, only products matching the search will be brought back. You can search for brand and departments by adding the key words to the search box, simply type a space between all of your search items. If you are not already on the search page, click on 'Advanced search'. 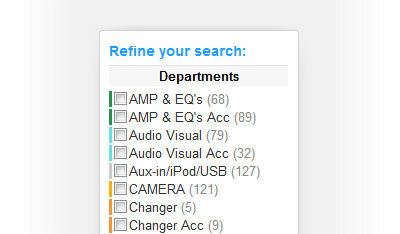 You can refine your search by selecting from a list of departments, categories, brands and filters. 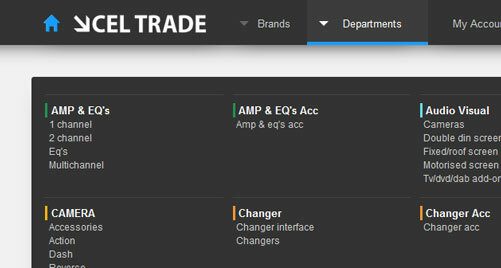 Once you choose a department, the categories, brands and filters will then update to show only the relevent options. If you choose a category, the brands and filters will then update. You can also sort the order of your results, change the items displayed per page and choose which page is displaying. 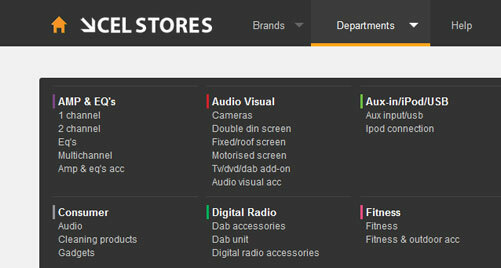 You can browse by Brand by selecting the Brand drop down from the main menu. 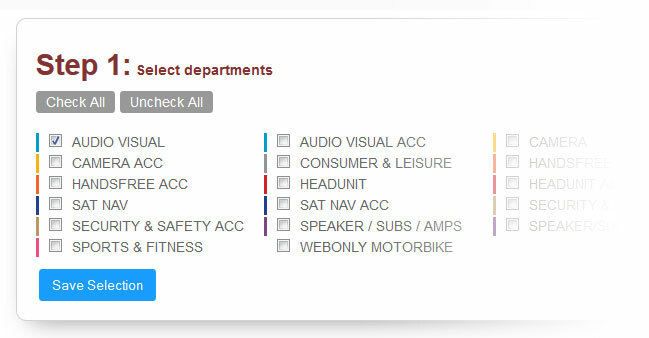 This will give you the option to choose a department or category from whithin that brand. Now the search page will show all the results. They can then be refined using the filters on the right. 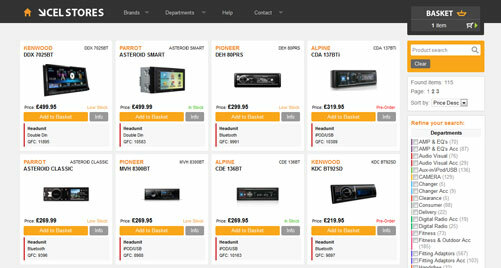 You can browse by Department by selecting the Department drop down from the main menu. Then by choosing either the department or more specifically one of the categories from within the department. 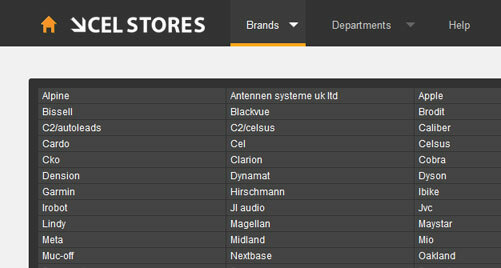 Now the search page will show all the products in that department / category. They can then be refined using the filters on the right. Once you have found the product you would like to purchase you can simply add it to your basket by clicking the "Add To Basket" button. You can continue to add items to your basket until you have all the items for your order. Once you are happy with your order click on "Checkout" icon in the basket area. Here you can modify your quantities or remove any unwanted items. To place your order choose either "Checkout", "Drop Ship" or "Branch Order". 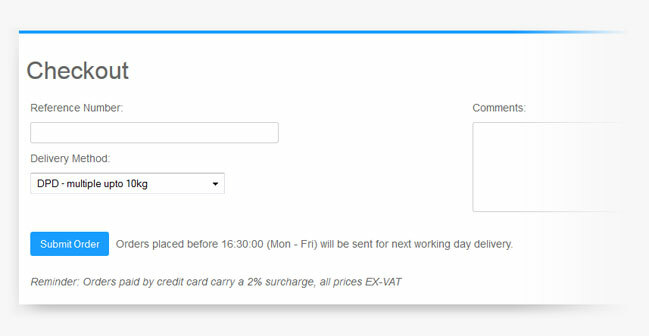 To submit a Checkout order, all you need to do is enter your reference number (if applicable), choose your delivery method, and add any comments if you wish. Then submit. 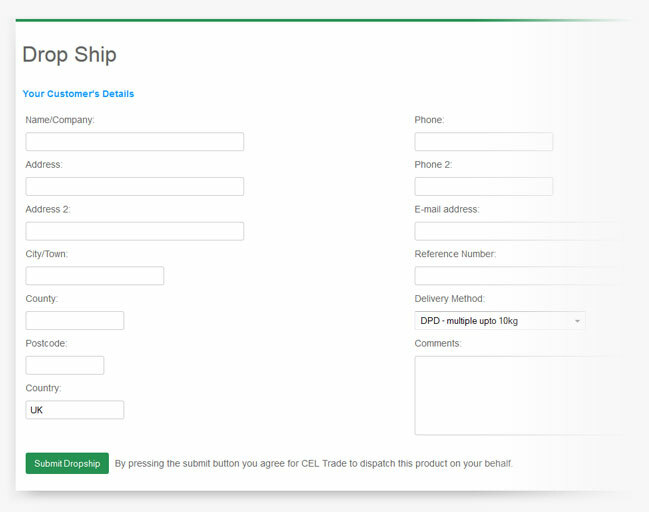 To submit a Drop Ship order, enter your reference number (if applicable), choose your delivery method and add any comments if you wish. Then submit. 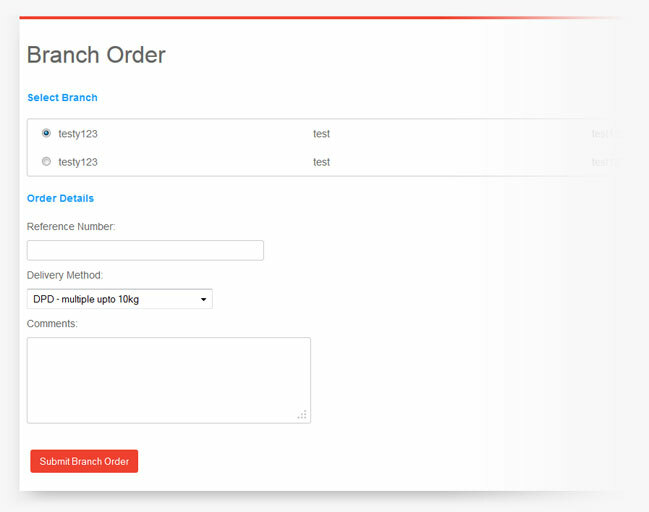 To submit a Branch Order, choose which branch to deliver to, enter your reference number (if applicable), choose your delivery method and add any comments if you wish. Then submit. 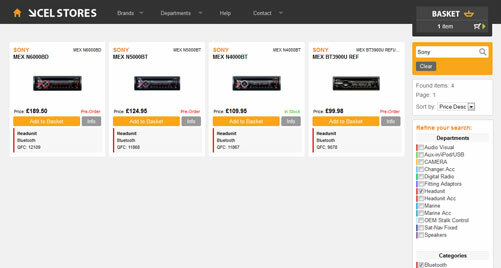 Once you are happy with your order click on the basket area in the top right of the page. 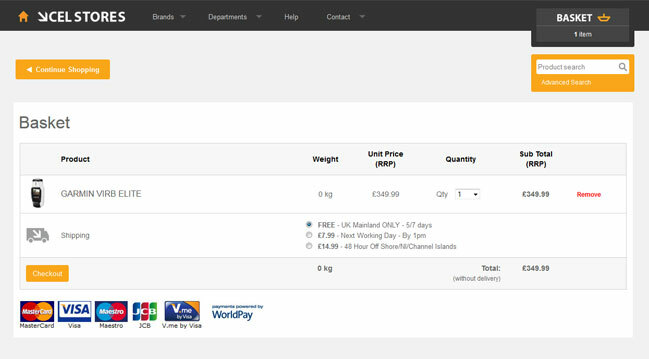 Here you can modify your quantities, remove any unwanted items and choose your delivery type. To place your order choose "Checkout". 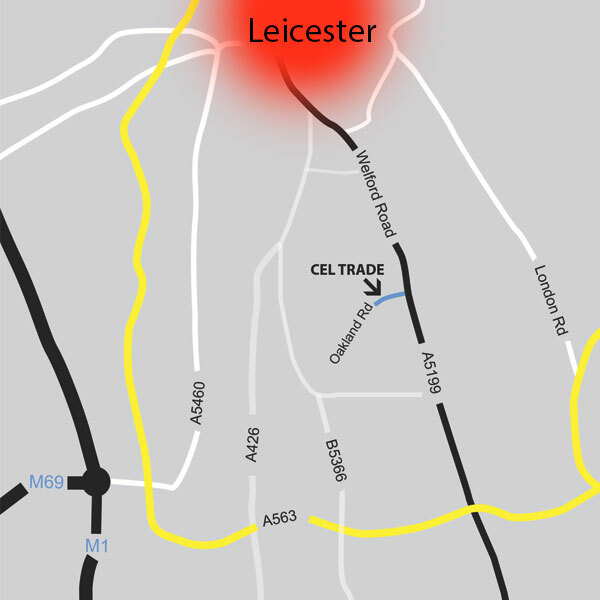 Enter your address and contact details. Then click continue. Here you can review your order before proceeding to make the secure payment. 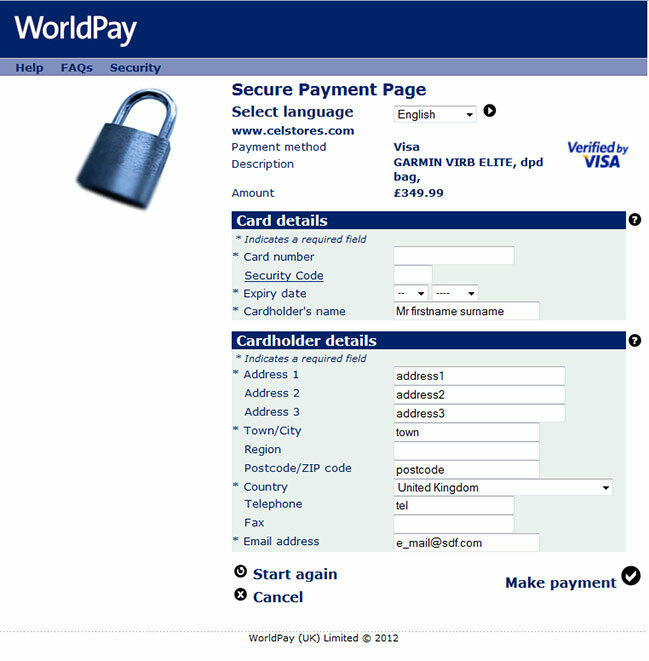 Once on WorldPay, select your payment method. 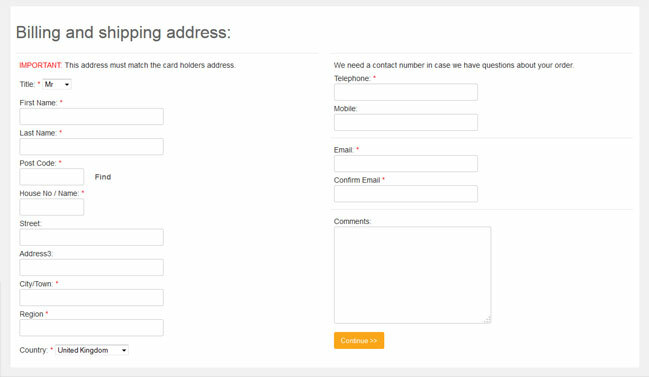 Fill in your card details and check your contact details are correct. 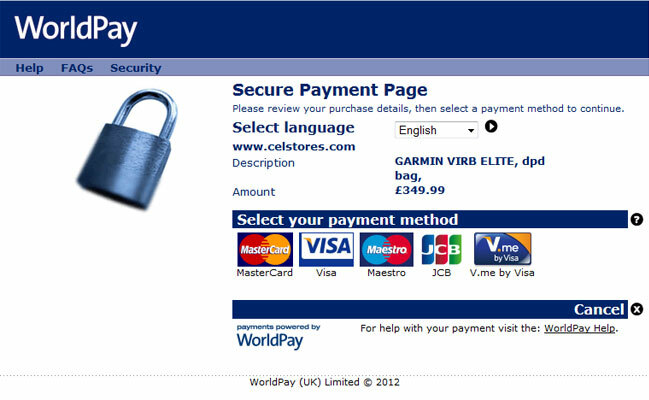 Then click "Make Payment" to confirm. Your order has been successfully ordered. Feeds are completely bespoke to how you set them up, this can be done through the setup page here. 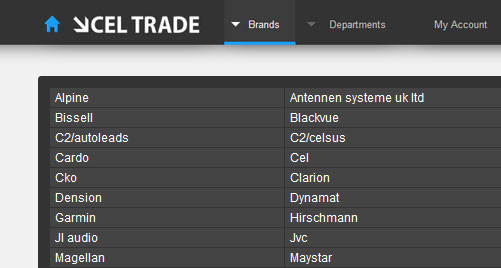 All of the products at CELTRADE are split into different departments and categories to help define the data better, simply pick the departments you would like product information for. Make sure you 'Save Selection' or changes may be lost later in the process. 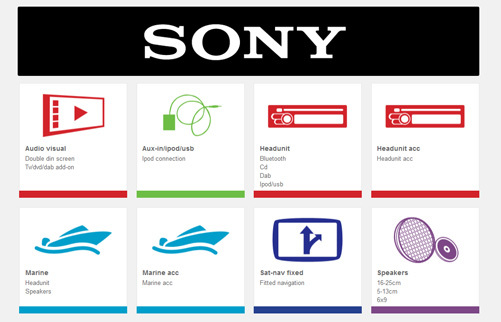 Pick the categories you would like product information for. Make sure you 'Save Selection' or changes may be lost later in the process. 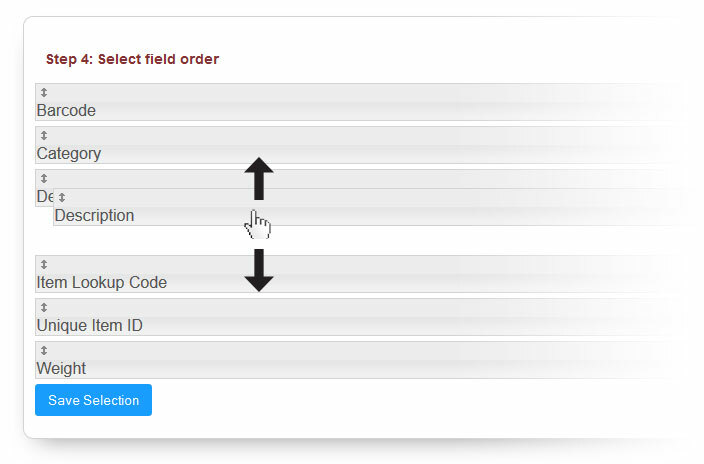 Our feed is totally bespoke to you, here you can change which order the fields appear in the download file, and if you are restricted by an importer that requires a specific field order you can set this up here. Your feed is setup and ready to download, you just need to work out how you want to get the data. 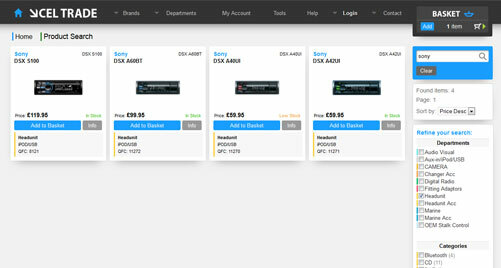 We offer a couple of ways that suit different users, we offer links to a csv file which you can either manually download or write some software to work with the link as a stream, or we have our in-house developed feed download tool. 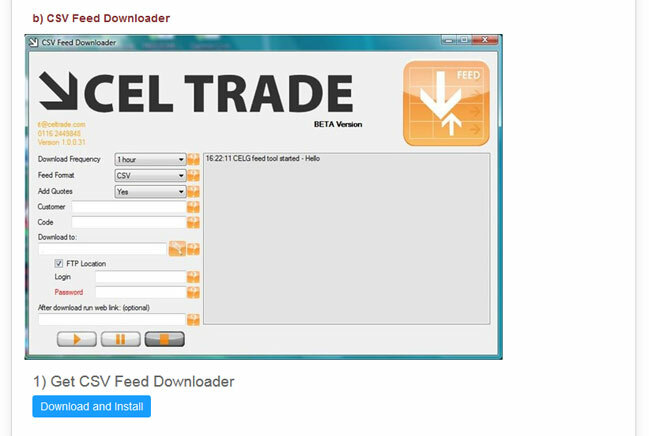 Step 5: b) Download & Setup Feed App (Optional).